Each material used in the construction of my whips is carefully selected. All the plaited part - internally and externally - are made up of exclusively vegetable tanned kangaroo leather first quality and safe origin protected and certified by the Washington Convention. "I was eight years old when I went to the circus I saw a whip for the first time: from that moment I was struck." They are faithfully reproduced to those designed and made by the great David Morgan. Not Just whips... In this section you will find out how I converted my passion for plaiting leather. and hand made with passion and expertise. I’m a Whipmaker, Leather Designer and Prop Maker since 1995. I’m proud to state that I’ve been the first artisan to spread in Italy the culture of whipmaking and usage of whips according to Australian whipmakers – maestros of this fine art. I’m producing whips for collectors, performer, gallerists, circus (like Circo Orfei, Circo Togni) and cinema & television productions (eg. Ben Hur 2016). After several years of hard work and complete dedication made up of Passion, Precision, Patience (my personal ‘three P’) I’m pleased to say that my products are well appreciated and esteemed for their attention to details, precision, good taste and elegance. I belong to the Ring of Trust It’s is a group of whipmakers with integrity. Our goal is to create transparency, reliability, and the best customer service available. I’d like to deeply thank everyone who has trusted me from the beginning and all those who will continue to trust me because it has helped me so much and will continue to help my professional growth and skills. And now … I invite you to enjoy my products..
Would you like to beautify your whip? … Now you can! 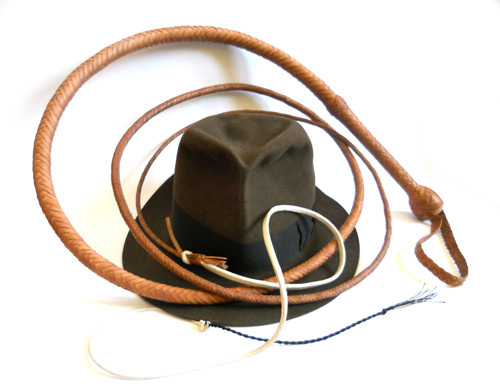 In this page you can see some example of tailor made whips. Enjoy them! This whip is very similar to a bullwhip without handle inside (for this reason is called ‘snake’ because can be curled up into a small circle which resembles a coiled snake). It’s particularly suitable for street artists and for outdoor whipcracking activities in any climatic conditions.